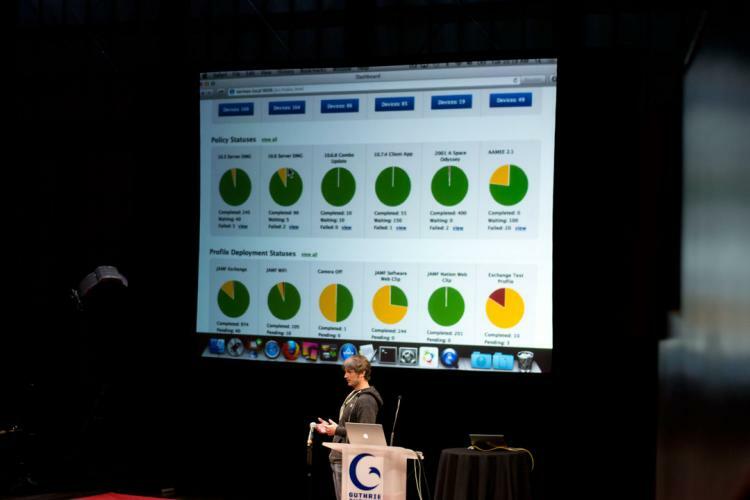 In the opening keynote presentation at our JAMF Nation User Conference, Product Manager and Founding Partner Zach Halmstad unveiled version 9.0 of the Casper Suite for the first time. We'll have many more details in the coming months leading up to its release, but we wanted to share five of the new features that Zach discussed in Casper Suite 9.0. The JSS interface has been completely redesigned and optimized using responsive design principles, making it much easier for administrators to find and report on what they're looking for. Along with the redesigned user interface, the JSS will feature a visual dashboard, allowing administrators to quickly gauge the status of the devices they manage, display information about the status of smart groups, policies, and more. With the assistance of partners around the world, the JSS will include localized language support in Casper Suite 9.0, allowing administrators to use their primary language in the tool they use to manage their devices on a daily basis. The JSS will support additional control over access and permissions, allowing additional administrators to access the JSS. Administrators will be able to enroll and manage distribution servers from the JSS, including JAMF Distribution Servers (a NetBoot/Software Update Server/Distribution Point appliance) and cloud servers such as Amazon Web Services, Rackspace Cloud and Akamai. If you have any feedback on the opening keynote or new product announcements that were discussed today, please check out the discussion thread on the JAMF Nation community site.